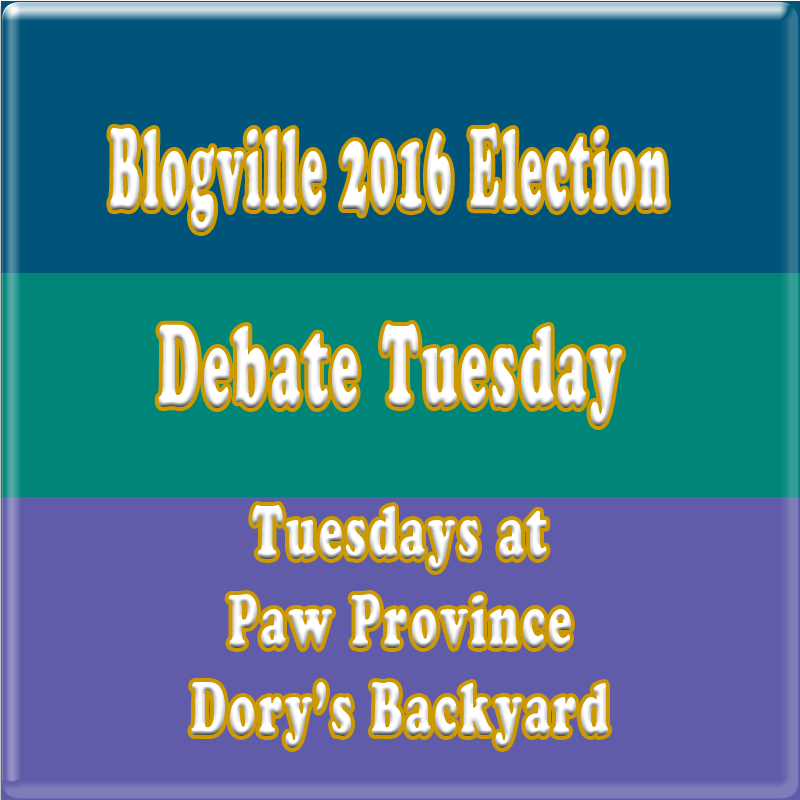 Paw Province: FINAL Debate Tuesday! Yep, today is the FINAL debate Tuesday before the election! Fellow candy date Arty and I, along with our running mates Oreo and Mabel, let you all ask us some questions. We appreciate all of your inquiries, but we only chose a few questions so you wouldn't be sitting at your computer for 87 hours. 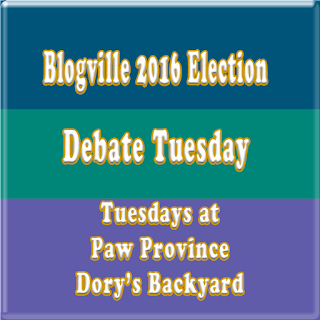 This debate is a little bit different...we'll all be answering the questions on our own blogs only instead of sharing everyone's answers, so you'll have to swing by Arty, Oreo, and Mabel's blogs to hear what they have to say! Let's get this thing started, friends! 1. For each of the candidates and their running mates - if you could meet with anyone, living or dead, who would you like to meet? It's an easy answer: Angel Lexi. She brought a lot of love, enthusiasm, wag wag wags of the tail, and smiles to Blogville, and imagine how much we all could learn about love, life, and spreading smiles if we could meet her in the furs. Oh, and I do hope to meet Oreo and Arty in the furs one day, along with every other pup, kitty, and critter in Blogville. My overall goal for Blogville is to make sure everyone feels included and there's always an opportunity to make new friends and get involved somehow...I might have some parties, giveaways, polls, and BIG welcomes for new Blogville citizens. And about the pawlender...my tail is wagging like crazy! That sounds lots of fun! Maybe the "Blogville Christmas Pawlendar" would be it's own separate blog, and every December I (if I become mayor) could choose a Christmasy photo from the blogs of one of our Blogville citizens and share it that day. At first I thought you were talking about a pawlender of my face 365 days a year...BOL! 3. 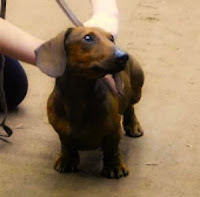 If you win, will you replace the entire administration or will you reappoint those who wish to stay in their pawsitions? I'll cheerfully give all current members of the cabinet the opportunity to keep their positions or resign to make room for any other doggies, kitties, or other critters who are willing to take on the role. I think it's grrreat for Blogville's citizens to have the chance to make new friends and have fun with new positions, but current cabinet members should have the choice to stay in the administration if they want to do so. 4. I have have a question for both candidates, who is your hero and what superpower do you wish you could have? Hmm...I have many heroes, but I'd have to choose my mom. She's always there for me, and I couldn't possibly love her more. I'm quite the momma's boy Well, I could if she gave me treats and cheeseburgers instead of kibble maybe I'd like her more...BOL! A superpower, huh? Let me think...oh, I know! I would have the power to control the minds of tree rats. I mean, yeah, they are pests and they are annoying and they chatter an awful lot, but that's why us pups need to get our revenge! I can imagine it now...sitting on the couch with my head propped up on a cushion, tree rats dropping Milk Bones in my mouth. I would try grapes, but my mom says they can be deadly for pups to eat. Eek! Yep, I already got a tree rat catering service lined up to provide food for the voters and everyone there...it'll bet tasty! Well, that's all for now! I've got some exciting announcements planned for tomorrow, so stay tuned! Ooooh...tree rats under our control? That's an interesting idea! Oh a "Blogville Christmas Pawlendar" sounds like a new terrific idea! I would be behind that idea. Thanks for answering my question. Mind control would be a great superpower. I would use it for evil like when mom wants to give me kisses instead she would bring me my favorite treats. Would that make me a villain? Cookies? Did someone say cookies? I'm in! OMD...You had me at Tree Rat Tacos too!! Great answers, Chris!! This was a great debate - all had great answers! OMD OMD Tree Rat Tacos. Now THESE are answers that we can sink our Teefs into. WELL DONE Christmas. Lots of great ideas, Christmas. We love your hero selection - she is one pawesome Mom. We DO like the sound of squirrel tacos!! Excellent answers!! We look forward to election day! yay for tree rat tacos and cookie break each day!!! !